Emotibot was awarded as "The Best Technology Service Provider of the Year in Education" in 2019 AI Online Education Conference. Jan 27, 2019,/EqualOcean/ - the 2019 AI Online Education Conference was held in Shanghai a few days ago. In which Emotibot was awarded "The Best Technology Service Provider of the Year in Education" together with two other start-ups: 51signing.com (众签) and Rong Lian Cloud Communication (容联云通讯). The former is a digital contract provider, partnering with many well-known Chinese companies like State Grid Corporation of China, JD.com (京东), Anta Sports (安踏体育) and long term rental company like Danke (蛋壳); the latter is a PaaS Cloud Communication Solution provider serving companies like China Mobile (中国移动) and banks like China Citic Bank (中信). 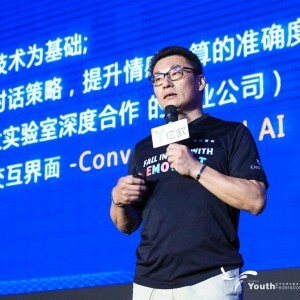 Emotibot, Founded by former Vice President in Microsoft Asia's Research Lab, Mr. JIAN Renxian (简仁贤), is dedicated to the development of emotional robots who have emotion recognition capabilities based on deep learning, NLP (Natural language processing), and computer vision. At present, Emotibot is already covering enterprise customers in retail, finance, intelligent terminal and call center. The conference attracted more than 500 upstream and downstream industry professionals in the education industry, covering traditional education, Internet education platforms, artificial intelligence hardware, and software companies and big data companies to discuss artificial intelligence's applications in education, together with the opportunities and challenges facing the industry. China's education industry continues to receive high attention from the government, consumer and capital levels. Deloitte predicts that by 2020, the overall size of public education will reach USD 497.99 billion. By 2025, this figure will be close to USD 741.05 billion and achieve a compound annual growth rate of 10.8%. The award was a recognition of Emotibot's contributions in the online education industry. The company found out, not only the results, or the points a kid receives matters in online education so does how the kid reacted to every challenge posed by the online education system. This helps parents and teachers to understand better about the kid's learning progress, and where could possibly be the kid's blind spot after an online session. Through Emotibot's emotional recognition AI, the kid's reaction is well observed, recorded, analyzed and sent to the company's deep learning algorithm, so that improvement in the kid's learning experience in the long term can be guaranteed. Currently, the company offers two different categories of products: Online AI assistants who can offer information required by customers; for example, the "Private AI Assistant" can help customers with more than 30 types of issues like hotel bookings and so on, while the finance AI assistant could listen to user's command and record his or her finance activities as well as make calculations and offer finance consultation services. But that is not all, the most charming part of this company is it has focused on making an emotional robot who can tell whether the user is happy or angry through advanced technologies like facial expression recognition and computer vision. At present, the market is leaving an empty space for this category, as there are not many competitors for the company in this field except Pepper, Baidu (百度)'s emotional robot raven R, and Blue Frog Robotics' Forpheus. The second category of Emotibot's product can be utilized in observing the driver's level of tiredness, to alarm the driver when he or she is in drowsy driving mode, and dangerous situations occur; Also, help you improve your performance in interviews via observing your facial expressions and offer you adaptive suggestions to make you look more charming and relaxed in interviews. It could also help call center to elevate the quality of their services through observing and analyzing the customer's emotion through listening to his or her voices. 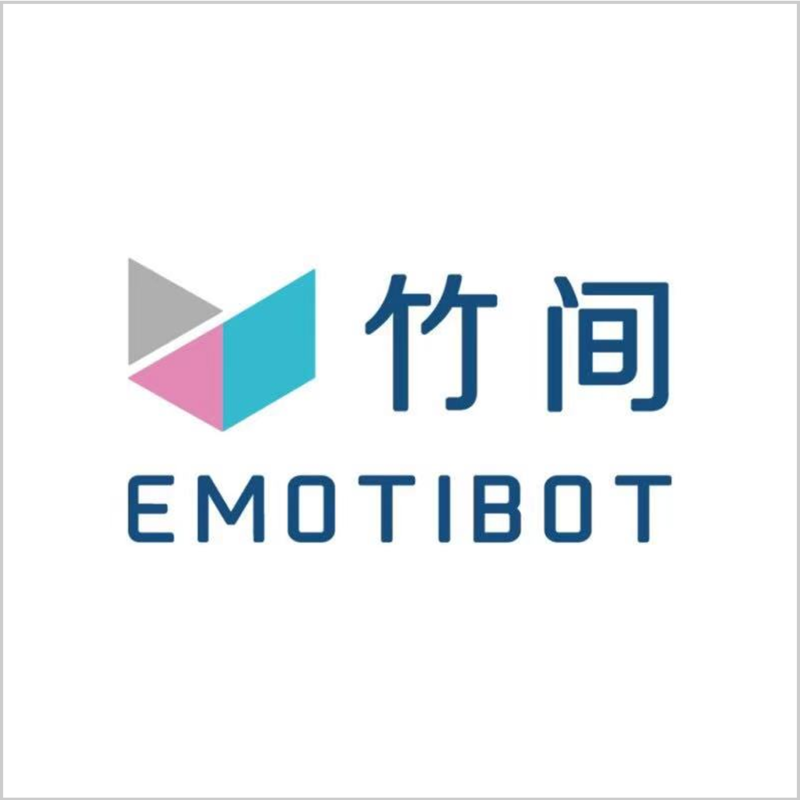 Emotibot has completed two rounds of financing by far, secured USD 55,000,000 altogether since its incubation in 2015. Main investors include CDIB Capital International, which had supported the largest out-of-home display network operator in China, Focus Media (分众传媒), and Chinese company in advanced voice recognition technology and smart home like Rokid; and smart home robot solution provider Ecovacs Robotics (科沃斯) , which may have the purpose of cooperating with Emotibot in the future to develop children companionship robots which could recognize children's emotions. ECOVACs currently offers vacuum robots and children monitoring robot in the form of a round disc which could freely move on the floor. The monitoring robot can be activated by parents remotely to stream live videos of their beloved children at home. If the company cooperated with Emotibot, the robot could be transformed into a much more caring and understanding babysitter, with the features of recognizing whether the kid is angry, and possibly tells the reasons behind the emotional change of the little angel. Most emotional robots achieve emotion recognition capabilities through tracking the distance between key spots on people's faces. But this is not going to help the robots achieve precise judgment since many people now restrain their facial expressions very often, for example, in real life, people could always feel very happy inside but pretend to look angry or upset outside. also, people can experience multiple emotions at the same time; If the robot only identifies the changes of the distance between key spots on a person's face to conclude on his or her emotions, precision could not be met every time for everyone. There will be other better options to judge people's emotions, such as to track the miniature movement of human's facial muscles, as the muscles tend to have the tendency to move prior to the human's actual facial expression; or to adopt facial chirality theory to improve AI's understanding of adults' complicated emotions. Also, the company is only developing AI programs which can be installed on the mobile end, and without an actual robotic body. If the company cooperates with hardware robotics company to design emotional Roberts featuring caring facial expressions, and cute and gentle appearances, which also interacts with human beings using voices and a variety of facial expressions, the product will be more popular in the market, since emotional robot is serving the role of caring, monitoring and helping with human beings to make their lives more comfortable, not only more convenient. No matter how much people resent the idea of "Judge by its appearance", appearance matters. An emotional robot simply cannot look like Baidu's Raven R, which has a dangerous red shade, moves in multiple directions with no meaning at all, and looks like a fly swatter. Frankly speaking, the fly swatter design really levels up its user's anxiety level simply by looking at it.